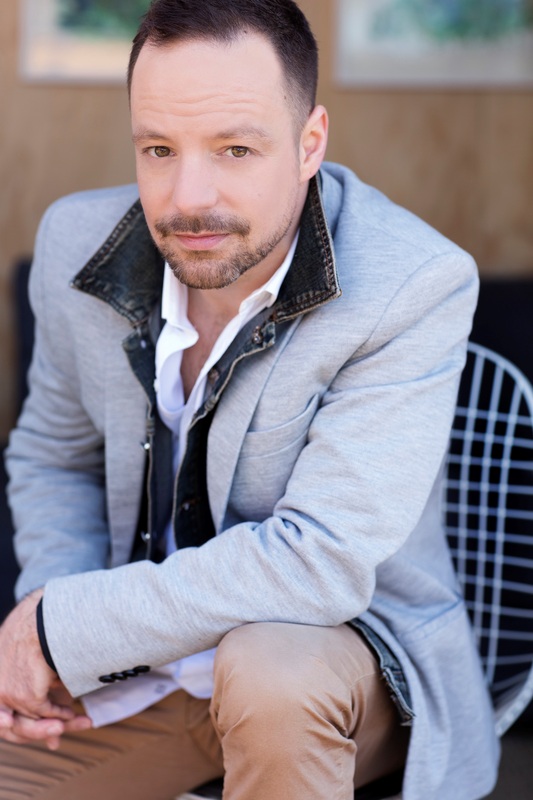 Québec baritone Dominique Côté maintains a flourishing career in North America and in France. Praised for his warm tone, stage presence and skill as an actor, he has won several first prizes including the Concours International de chant de Canari and for operetta at the Concours International de chant de Marmande. He also received the first prize and the grand prize from the Voice Festival of McGill University. Trained as an actor at L’école de théâtre de St-Hyacinthe and then as a singer with Lucette Tremblay in Montreal, he completed his training at the Atelier lyrique de l’Opéra de Montréal where he worked under the direction of Gerald Martin-Moore. This season he rejoined Ryan Brown’s Opera Lafayette in for the Leonore Project: Beethoven’s Leonore (the first version) and Gaveaux’s opéra comique on the same subject for performances in Washington and New York followed by a recording. This season, Dominique joins Juste Pour Rire as the Reverend Moore in Footloose and Edmonton Opera as Comtesse Marie-Laure in Les feluettes. In the 2015-2016 season, he debuted at the Wexford Festival in Herold’s Le pre aux clercs and for Opera Lafayette in Washington, D.C. and New York in Une éducation manquée by Chabrier. In the 2013-2014 season, Dominique starred in the Feydeau play Feu la mère de madame at Theatre Lac Brome, was featured as Frédéric in Lakmé for l’Opéra de Montréal and starred as Dr. Falke in Le chauve souris for le Grand Théâtre de Genève. Also on his schedule were performances with Opéra de Limoges, Offenbach’s La fille du tambour in Chicoutimi and a tour with Jeunesses Musicales. Other recent engagements include Morales in Carmen for Pacific Opera Victoria, Dr. Falke in Le chauve souris for Opéra de Montréal, a production of Titanic at Opéra-Théâtre de Rimouski, a recital for La Société Musicale Alain Marinaro in southern France, Bach’s St. John Passion, Carmina Burana for l’Orchestre symphonique de Sherbrooke and Mozart’s Requiem in D minor for I Musici de Montréal and le Grand Choeur de Montréal. He also sang the title role in Gagnon’s Nelligan to tremendous critical acclaim at Festival Opéra de Québec. Eager to expand the scope of his musical experience he debuted at l’Opéra de Marseille in La belle Hélène by Offenbach under the direction of Nader Abassi and gave a recital at the Salle Cortot in Paris. He has traveled throughout Canada with Jeunesses Musicales singing Danilo in Léhar’s La veuve joyeuse and as Figaro in Il barbiere di Siviglia. For l’Opéra-Théâtre de Rimouski he sang Ménélas in La belle Hélène and le Conte Gustave de Pottenstein in Le pays du sourire and for la Soci’d’Art Lyrique du Royaume he sang the role of Bobinet in La vie parisienne. Mr. Côté is regularly invited to sing with orchestras and has been heard with l’Orchestre symphonique de Montréal, Ottawa, Longueuil, Sherbrooke, Québec, Lanaudière and Paris under the direction of such conductors as Jacques Lacombe, Stéphane Laforest, Marc David and Simon Leclerc in works ranging from Carmina Burana to Les Misérables. Appreciated for his comedic talent, Mr. Côté has been seen as the character Renaud on the Radio-Canada show Virginie, Eric Gaudry on Jean-Duceppe for Télé-Québec and as Étienne Bernard on Emma on the TVA network. Children will also recognize his voice from the many cartoon characters he has played including the Lion in Le lion d’Oz.